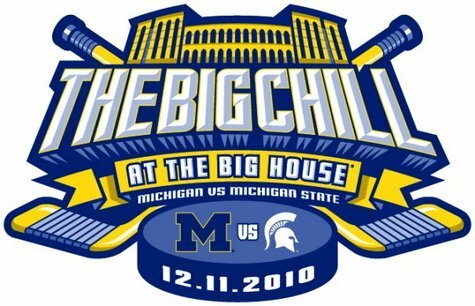 No question the Big Chill was a big success. 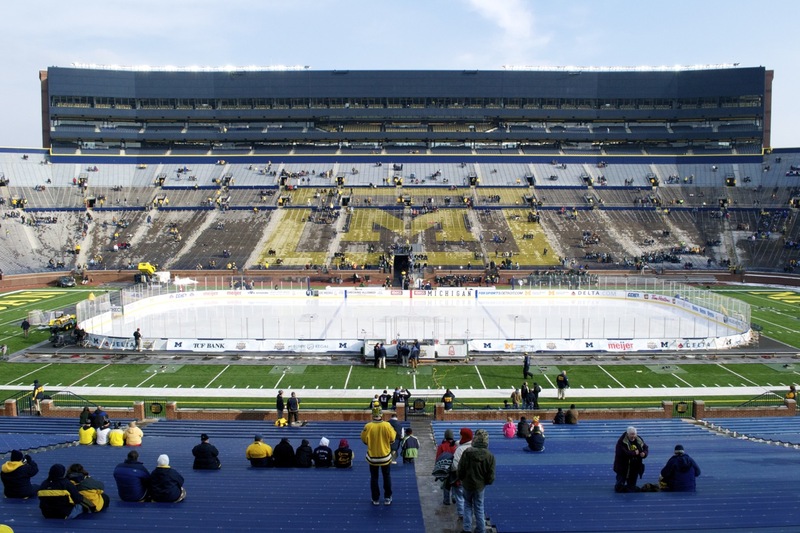 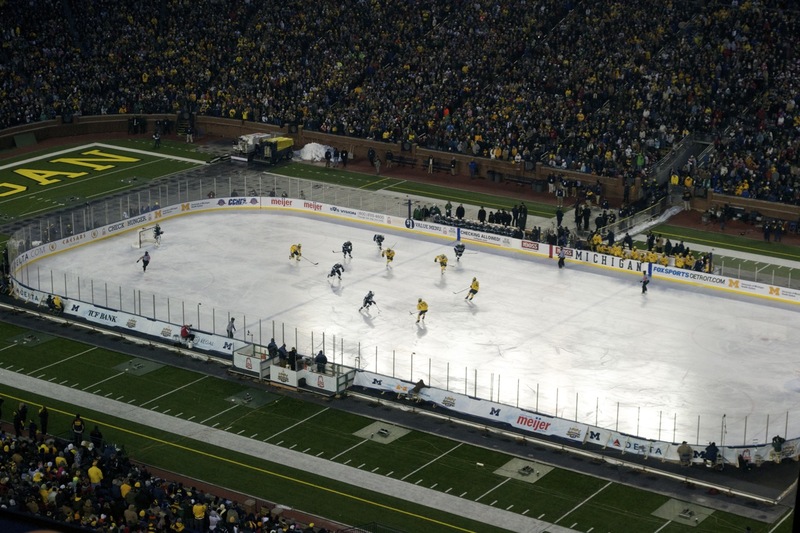 Along with a 5-0 Michigan win over Michigan State, the entire event went off without a hitch. 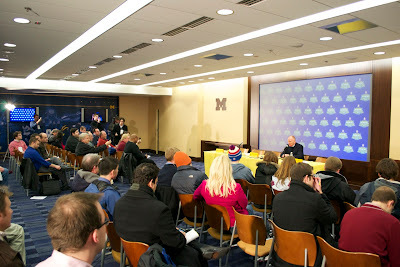 Here's some photos from my day at the Big House. 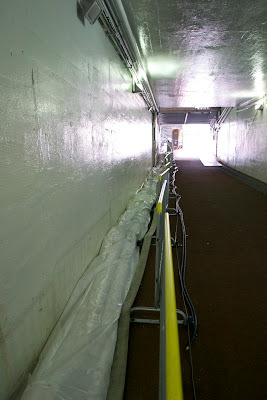 Link to the Flickr photo gallery. Sending the "chill" down the tunnel to the rink. 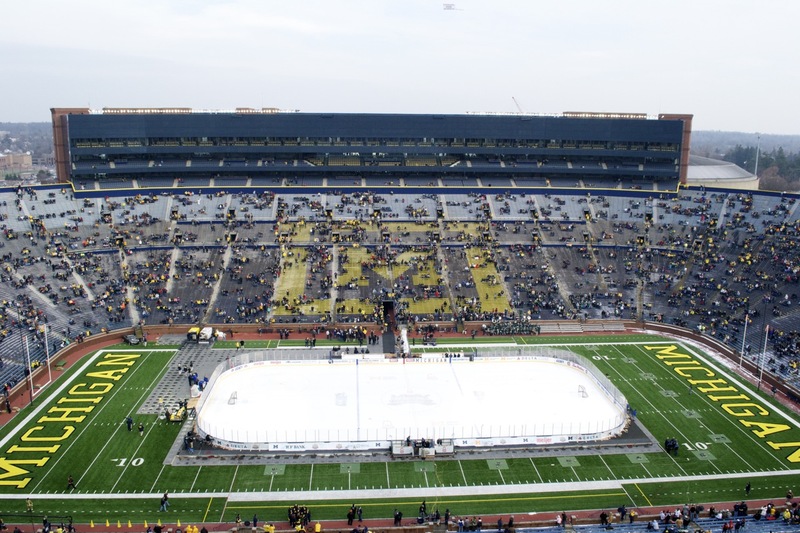 Ice-level view of the rink before the game. View from the section 23 isle. 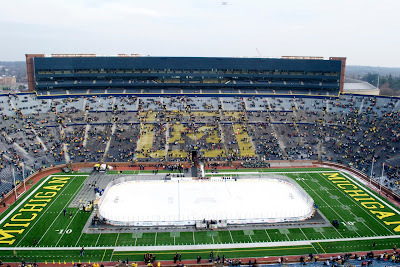 View from the photo deck in the pressbox. 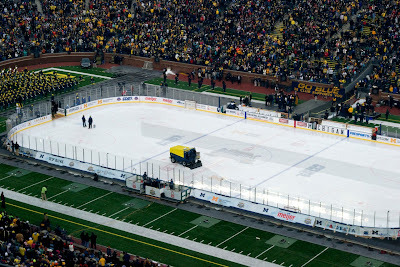 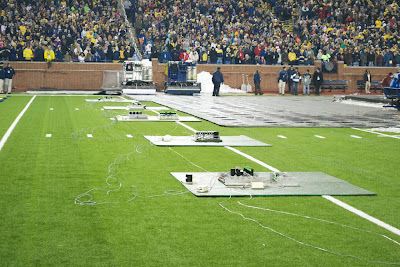 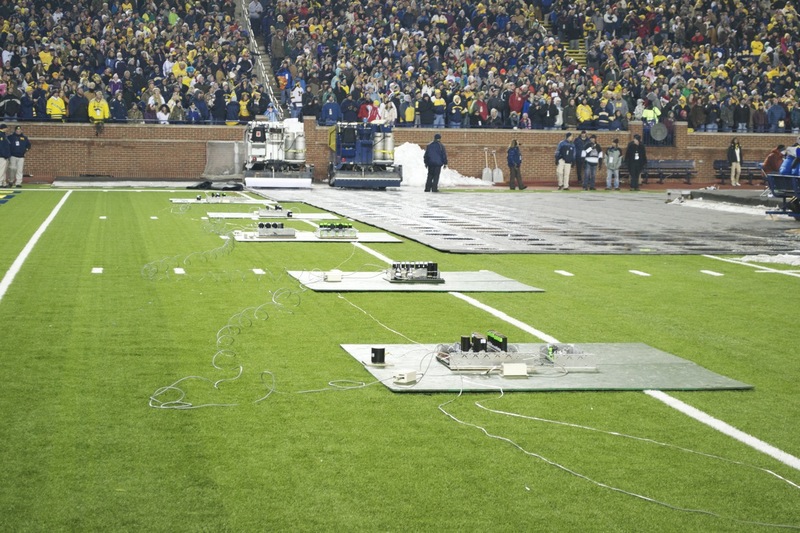 Zamboni's on the field at the Big House. Band in the endzone. 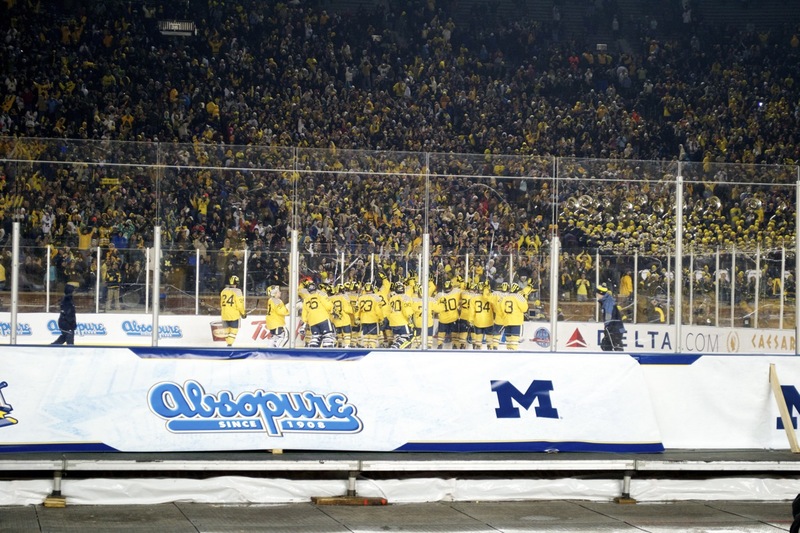 Go Blue banner ready for the hockey team. 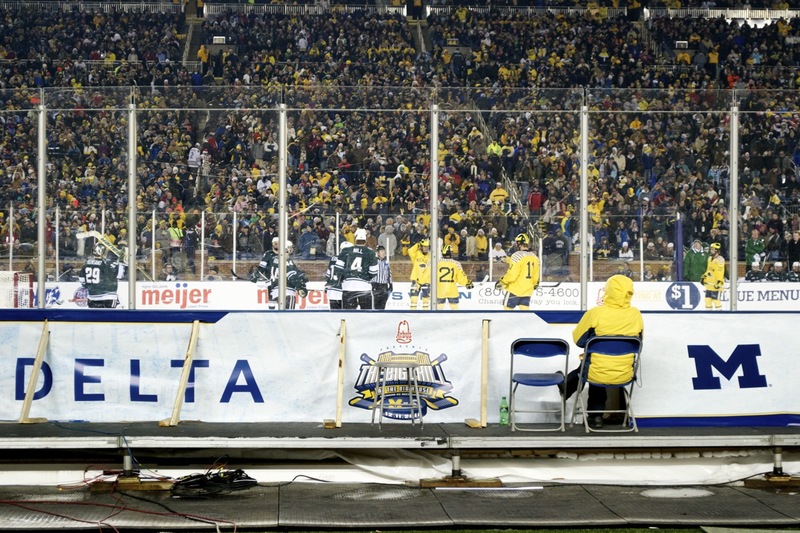 What a sight. Gameplay from the 3rd period. 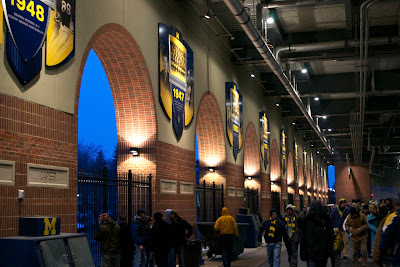 Very cool lighting done on the national championship features on the main concourse. 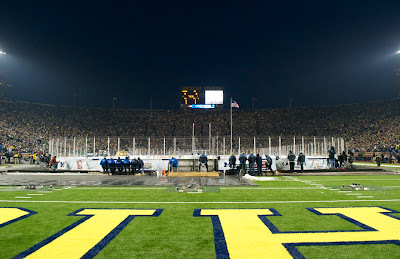 The lights did a great job of keeping the field lit. 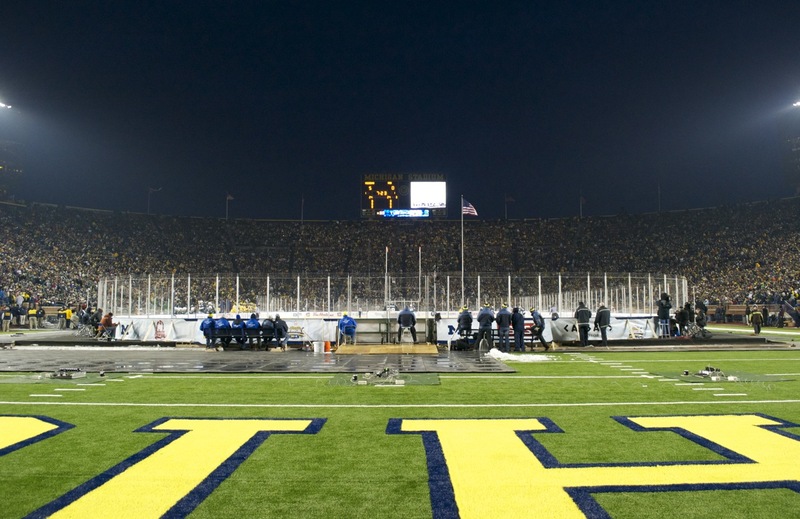 It's a nice trial for the night game against Notre Dame next year. From the field in the 3rd period. 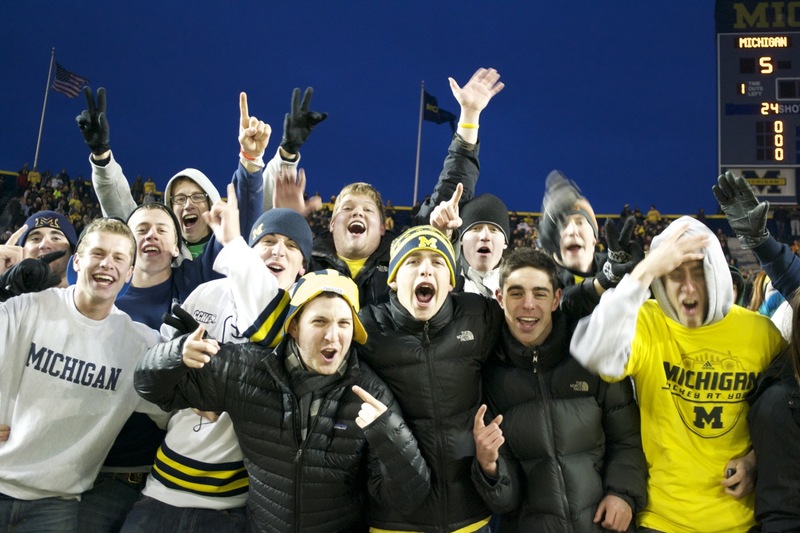 The student section was awesome, especially down in front where the fans kept warm by going nuts at the end of the game. 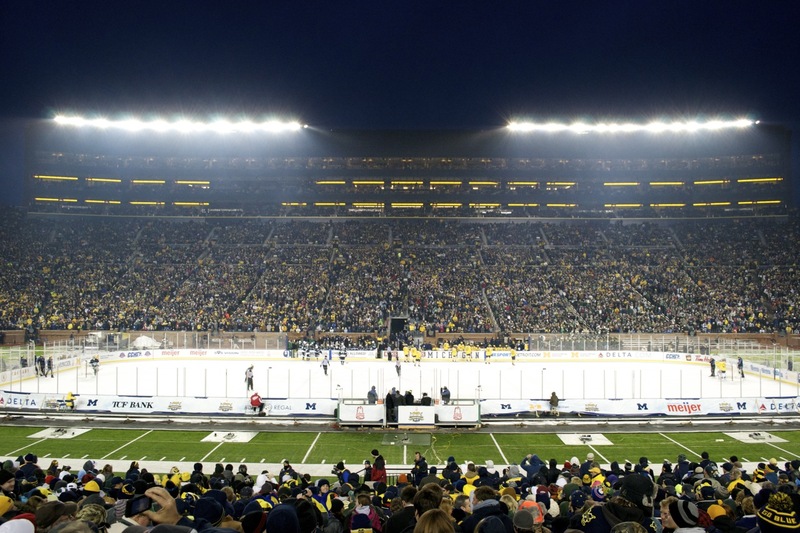 113,411 fans packed the Big House for the largest crowd ever. 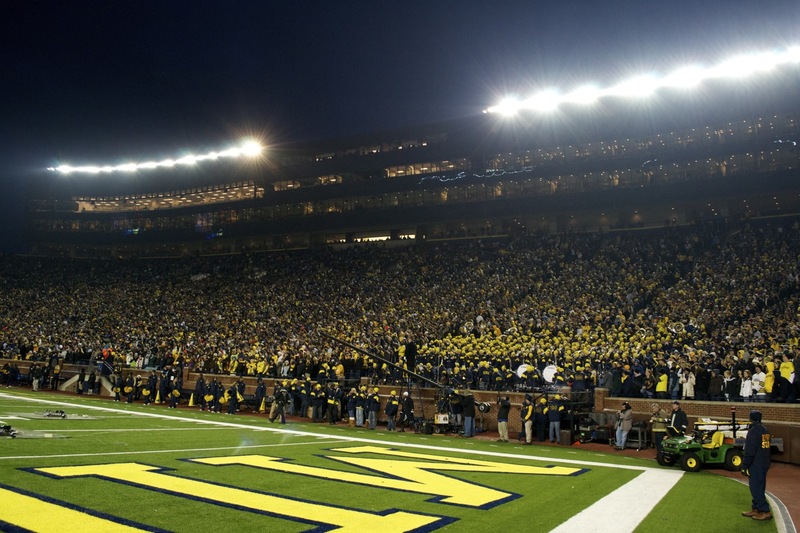 There's nothing like the Big House at night. 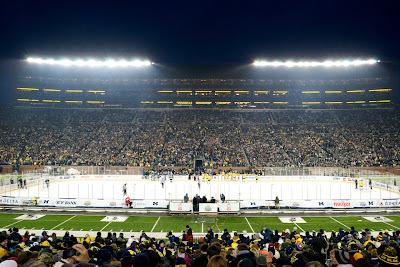 Can't wait for Notre Dame next year. Some ice from the rink. 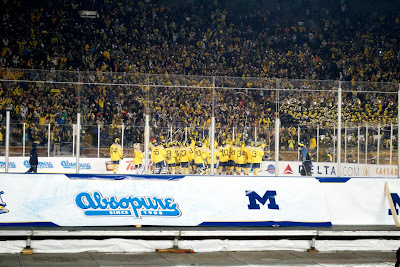 The team skates over to thank the fans for their support. A lot of people saw this guy riding his bike around the stadium before the game. 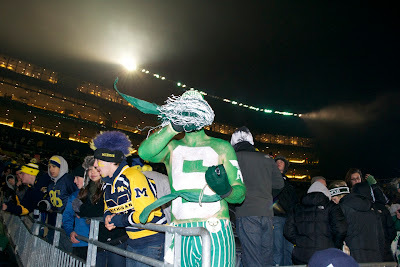 After a 5-0 beat down, he hid his face for the cameras. 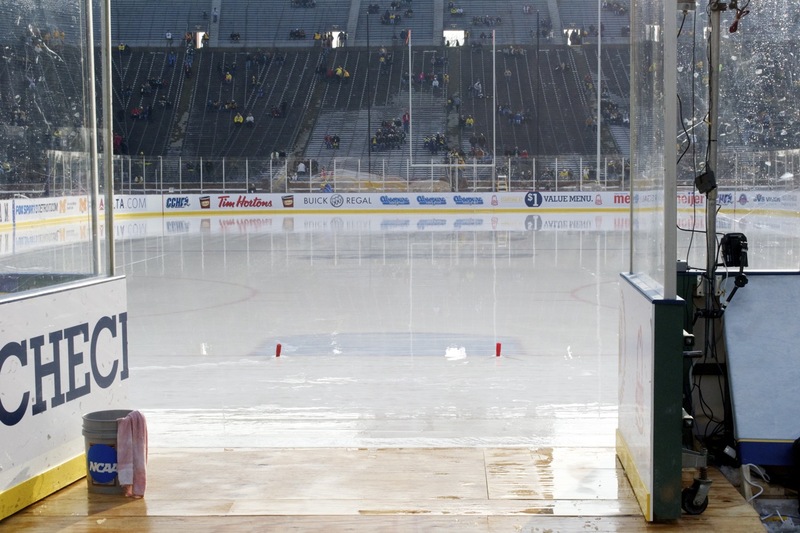 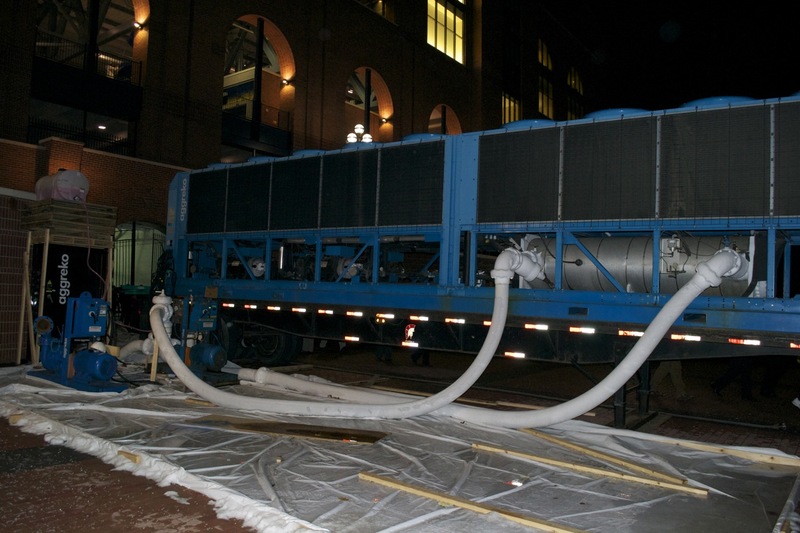 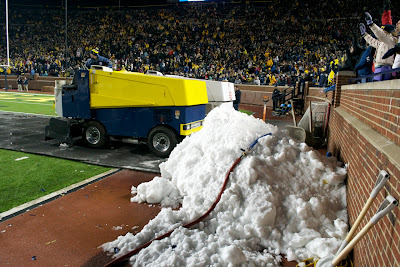 Keeping the ice perfect for the game means adding a lot of "chill", even when the outside temp was 40 degrees. 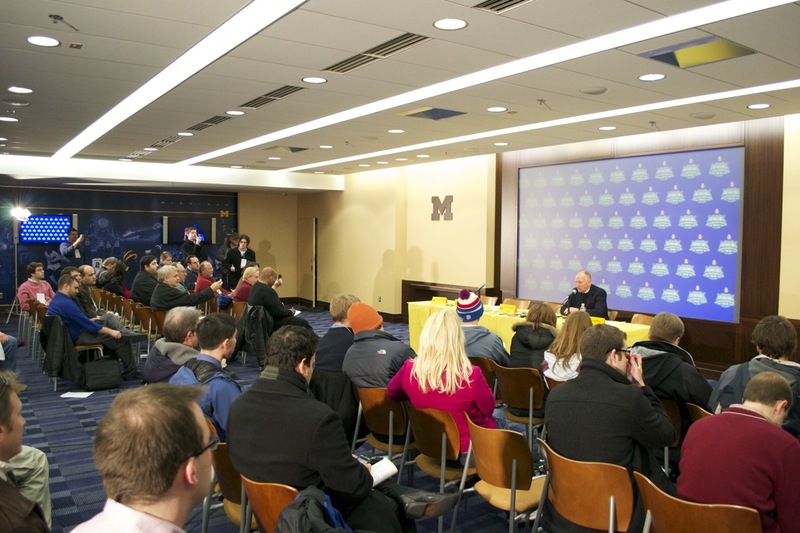 After the game, head coach Red Berenson talks to the media.